Local Transport: Car, taxis or auto-rickshaws. Punjab Tourist Information Centre, Outgate Railway Station, Amritsar. Amritsar city situated in northern Punjab state of northwestern India lies about 15 miles (25 km) east of the border with Pakistan. Amritsar is an important city in Punjab and is a major commercial, cultural, and transportation centre. It is also the centre of Sikhism and the site of the Sikh’s principal place of worship. One of the most poignant memorials of free India -- Jallianwala Bagh – is also located in the city. Amritsar district was once a part of the vast area covered by the Indus valley Civilisation during the early period of history. The seeds of the city were laid in 1577 when the fourth Sikh Guru Ram Das heard of a pool in the area that had healing powers. He instructed his son and successor Guru Arjan Dev to construct a temple at the site, which would be the focus of the Sikh religion. Guru Arjan Dev laid the foundations of the city of Ramdaspur in 1588 and the temple complex was completed in 1601. The Mughal emperor Akbar is said to have donated the land around the temple after paying off the local Jat farmers. Arjan Dev, who had compiled the Adi Granth or holy text of the Sikhs, placed it in the temple precincts, which came to be known as the Harmandir (Temple of God). The guru then invited traders to settle around the temple complex. The Khatris and Aroras established their businesses and the town grew around its central nucleus. In the late 18th century, the town was plundered by Ahmad Shah Durrani, to be rebuilt by the first Sikh ruler of Punjab, Maharaja Ranjit Singh. The Maharaja also donated a 100 kilos of gold for the temple, which was added on to the surface as plating, and gave the temple its name. Over the centuries Amritsar has witnessed a bloody struggle for survival. The city was constantly faced with threats from both Muslim and Hindu rulers, and had to be fortified by Guru Hargobind. The Guru is said to have accepted only offerings of weapons from his disciples, which were used for defence of the temple town. When Salim, the younger son of Akbar took over, Arjan Dev was asked to convert to Islam as penance for his favours. The Guru refused, and was tortured and killed by Salim, who had then become the ruler, Emperor Jahangir. During India’s freedom struggle, Amritsar became the scene of one of the worst atrocities perpetrated by the British. Protests and demonstrations were being organised by people against the Rowlatt Act that allowed the British to imprison anybody without explanation. To suppress these protests, the Governor of the Punjab Province O’Dwyer imposed a ban on public assemblies. In defiance of this order, a group of men, women and children gathered in a rectangular piece of land, called Jallianwala Bagh, to mark the anniversary of the birth of the Khalsa panth (order of the Khalsa). General Dyer, who was charged to enforce law and order in the region, marched up to the ground with his troops and blocked the narrow entrance. He then opened fire on the gathering without any warning, killing and wounding thousands. Even today, the walls of the Jallianwala Bagh bear the bullet holes where people were mercilessly butchered. Some people even tried to escape the firing by jumping into a well in the complex, but drowned and died. The British tried to suppress this incident, but it created a furore in the entire nation. As a result, Mahatma Gandhi gave a call for Civil disobedience, which escalated to a mass movement and forced the British out of India. In the post-Independence period, the town once again saw a spate of bloody warfare, now between the Indian administration and Sikh militant groups. Sant Jarnail Singh Bhindranwale, a militant Sikh leader gave a call for separate nationhood, which spread like wildfire throughout the state. In June 1984, hounded by the army and police, a heavily armed Bhindranwale and his followers holed up in the Golden Temple complex. When troops tried to enter the complex, many were mowed down by bullets. The army, in a state of panic, rolled tanks into the complex and fired on the Akal Takht, the seat of Sikh religious authority. Bhindranwale was killed, and so were thousands of his men and soldiers. Though the temple was rebuilt and is now back to its original glory, the scars in the minds of the Sikh people remained. As a result of this operation, the Prime Minister Mrs. Indira Gandhi, who had ordered the army action, was assassinated by her own bodyguards. In retaliation, many Sikhs were butchered by Hindus. Again in 1987, the succeeding Prime Minister Rajiv Gandhi ordered yet another campaign called Operation Black Thunder to cleanse the complex of militants. This time however, the action was more restrained, and damage kept to a minimum. Subsequently, elections were held and the people of Punjab voted in the religious Akali Dal. Normalcy returned to the state, with Amritsar regaining its status as one of the most important destinations for the Sikh community. Amritsar Tourism - Get all information on Amritsar tourist places and sightseeing tours. Our website helps you plan your next tour and gives you great ideas on what to do, where to eat, where to stay and when to go there. We give the best information from the web to give you precise, meaningful and useful travel guide for leading places to visit in India and from across the world. 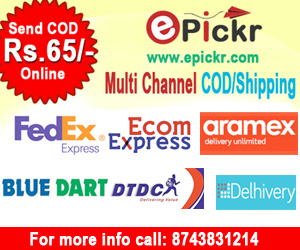 Our travel information on AMRITSAR tourist places, tourist attractions, major sightseeing, the best time to visit, the top places to visit in Amritsar, the must-see things to see and do, maps, restaurants, hotels, nearby tourist destinations, local public information and more. 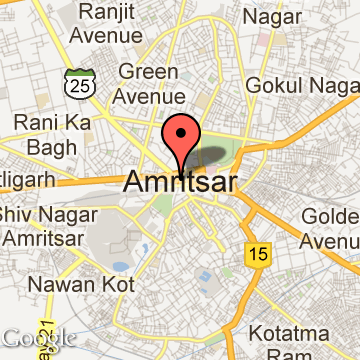 To start with check out information on how to reach Amritsar.